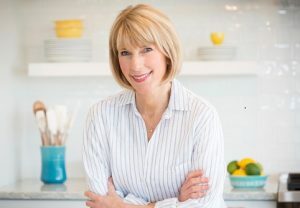 Back in the day (1982 to be exact), I spent a year living in Portland, OR where I completed my dietetic internship at the Oregon Health Sciences University. I loved living in the Northwest, and last weekend, I had the opportunity to go back! 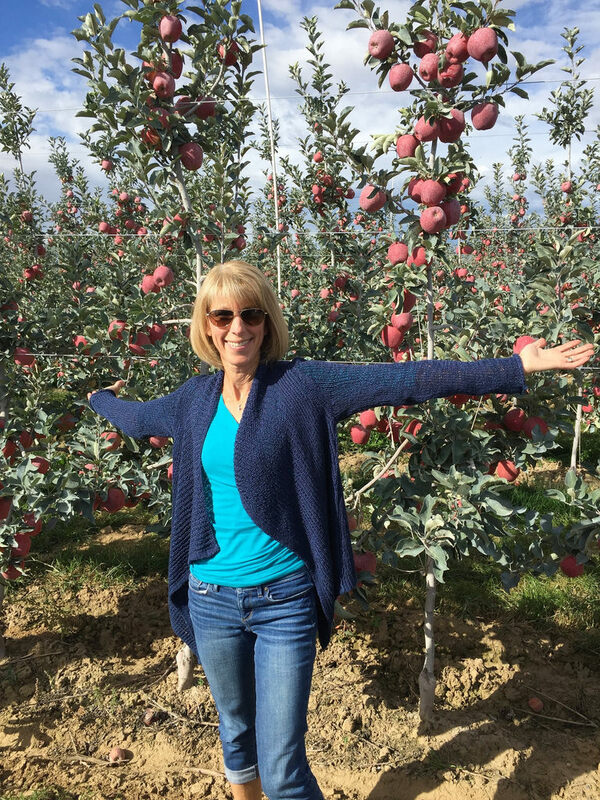 For three delicious days, I visited Wenatchee, WA where I learned about a sweet new apple variety called Ambrosia. Ambrosia apples have a honey taste and a perfumed aroma making them among the sweetest apple varieties on the market. The word Ambrosia literally means, Food of the Gods. 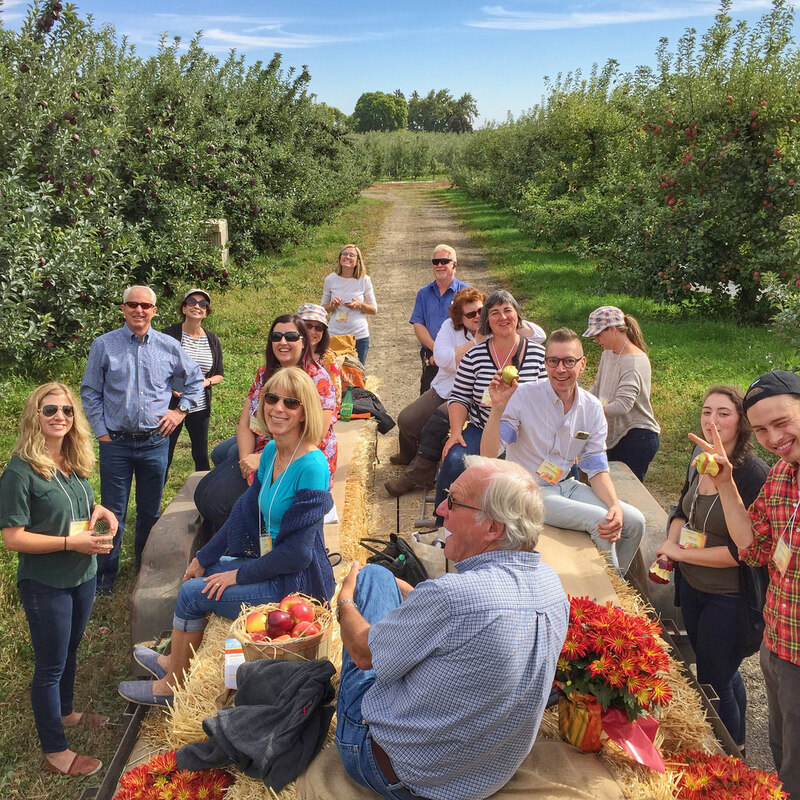 I wrote this post after joining six other food writers last weekend for an Ambrosia Apple Tour in Wenatchee, WA. The trip was sponsored by Columbia Marketing International (CMI). My expenses were paid for, I received no financial compensation, and all opinions are my own. 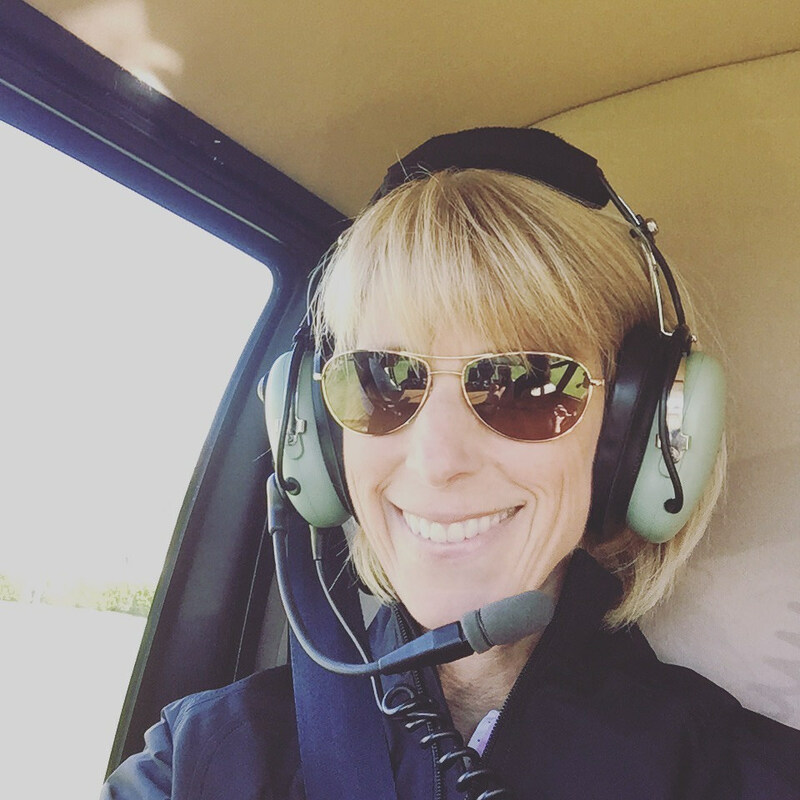 To get a sense for the region, we were treated to a helicopter ride through the valley. 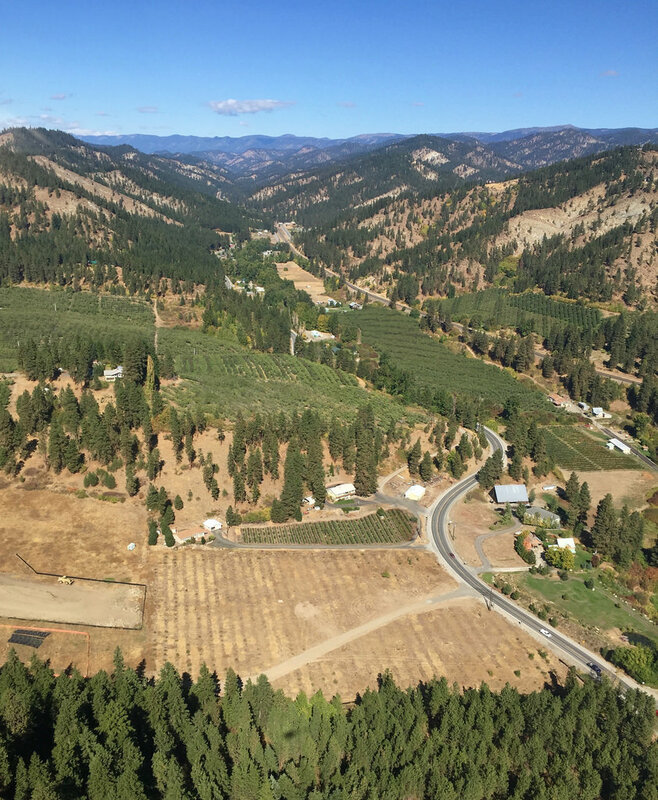 It was a bit windy and bumpy, but I braved it out as I soaked in an aerial view of apple, pear, and cherry orchards nestled 125 miles from Seattle on the eastern side of the Cascade Mountain range. These orchards (many are now organic!) are irrigated from nearby rivers like the Columbia. In the case of Ambrosia, 1,800 trees are planted per acre. And for efficiency, they’re smaller today than they were in the past, and a trellis system is used to support the smaller branches. 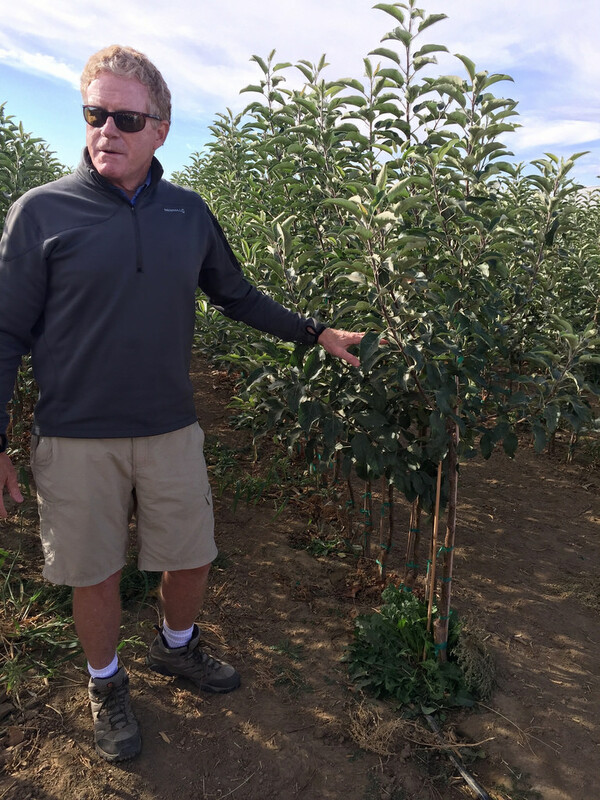 McDougall & Sons have exclusive rights to grow Ambrosia apples in the U.S. Scott McDougall, whose family has been growing fruit in the Columbia River Valley for five generations, explained how the trees are grown from root stock. At Double M Orchards, Mike Hambelton (who is licensed to grow Ambrosias) took us around his orchards on an old-fashioned hay ride. 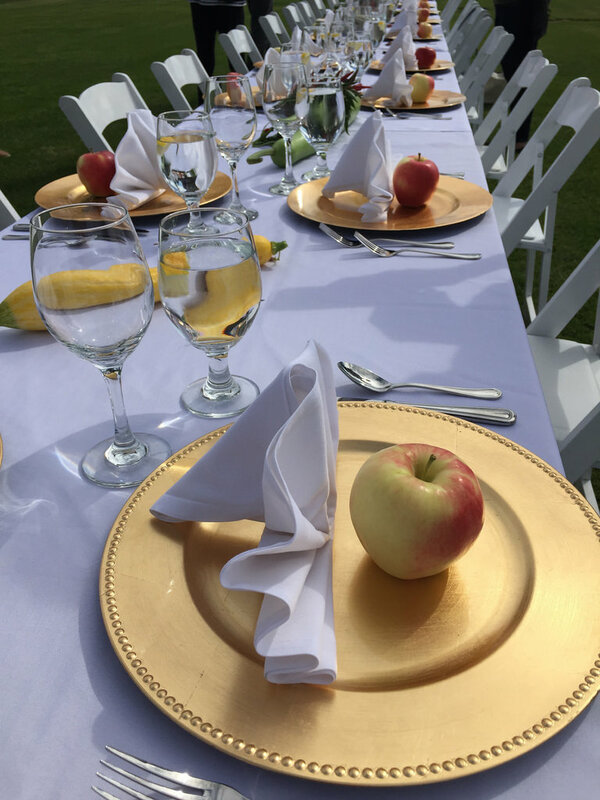 From there, we ate a catered, apple-bedazzled lunch in his field. Let me point out a few of the people on the tractor: I’m sitting on a bale of hay to the left of Mike Hambelton. Standing to my left is dietitian and Ambrosia apple consultant, Laura Hoover. Behind Laura is Mike Lutz, VP of Marketing for CMI. Behind Mike is Rowann Gilman from The Nibble. On the far right of this photo, Jacob Muselmann from Saveur magazine is getting silly with a peace sign, and behind him is Emily Lee with FoodNetwork.com. 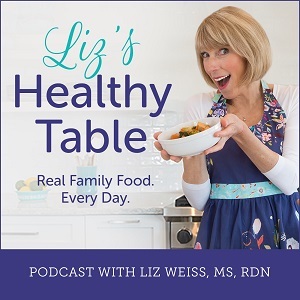 Charles Grayauskie from Every Day with Rachael Ray is the guy holding up an apple, and behind him are Shauna James Ahern, Founder of Gluten Free Girl and the Chef and the Food and Wine Diva, Summer Whitford from The Daily Meal. Our group became fast friends, and I hope we can organized a reunion some day soon! 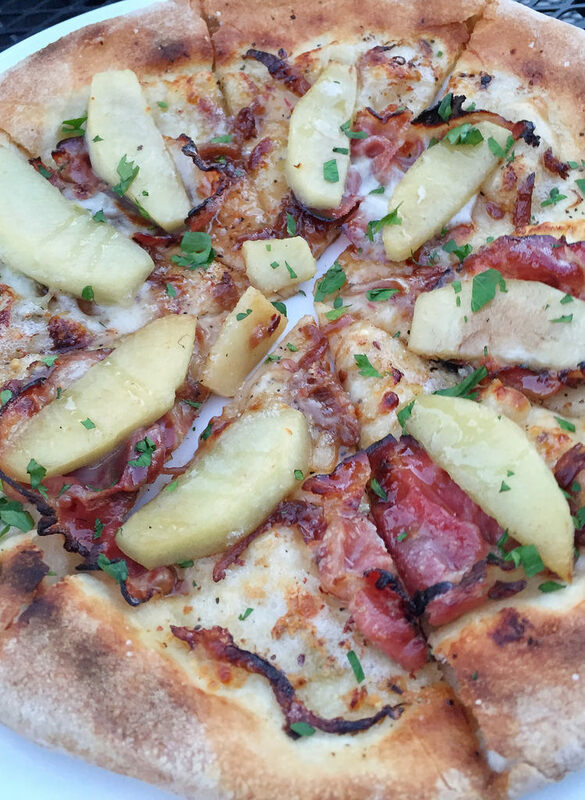 There’s something magical about eating a gourmet lunch in an apple orchard. Yes, we were spoiled! Our “Ambrosia Garden Menu” was catered by Ravenous Catering. My pictures don’t do this lunch justice. 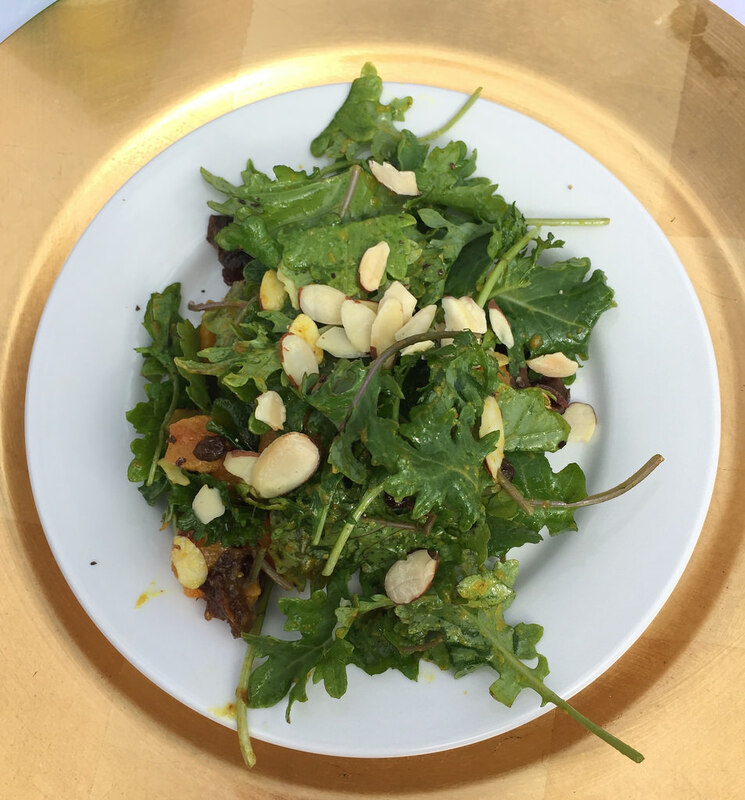 The meal began with Baby Kale with Curried Ambrosia Apple Ginger Vinaigrette and ended with an Ambrosia apple crisp. Just a wild guess, but I suspect there was a bit more butter in this crisp topping than in my apple crisp. 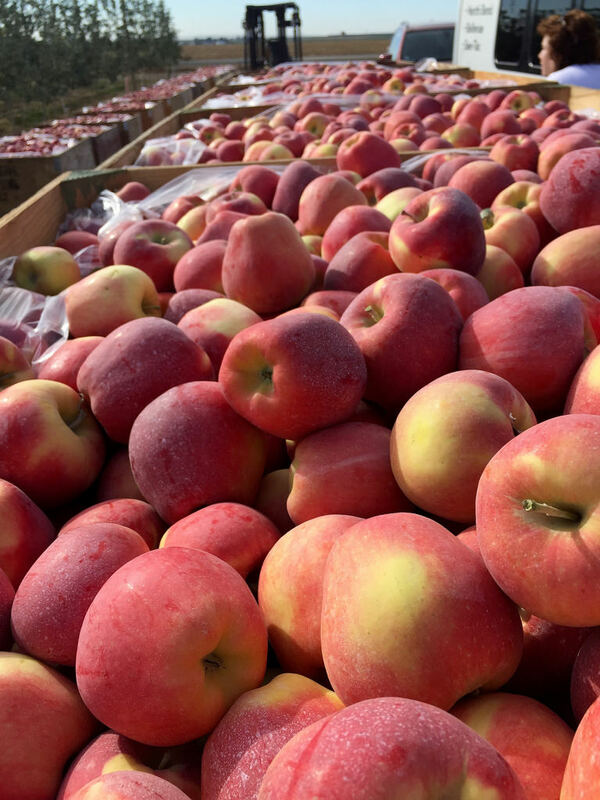 Sixty percent of the U.S. apple crop is grown in Washington state. 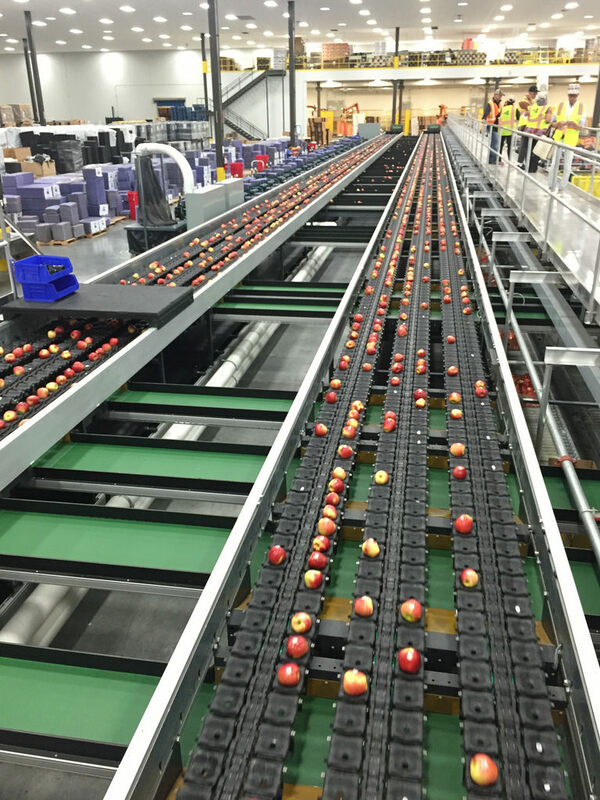 We had an opportunity to visit McDougall-Baker Flats, a new apple packing facility. 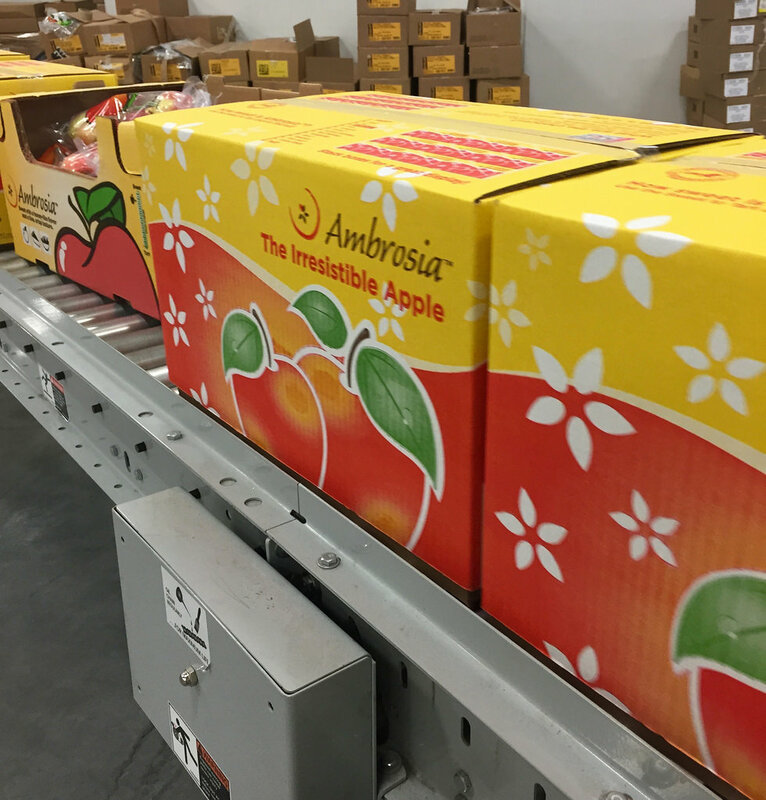 On the day of our visit, 1,500 boxes of Ambrosia apples were packed each hour. The apples are sorted by weight, size, and color, and each apple is photographed 32 times during sorting to identify defects. Wondering what happens to defective apples? They’re turned into apple juice, apple sauce, and apple slices. Apples are available throughout the year. Of the 14 billion apples picked in WA state orchards, many are stored in airtight, temperature-controlled rooms until they’re ready for market. But wait: There’s more! 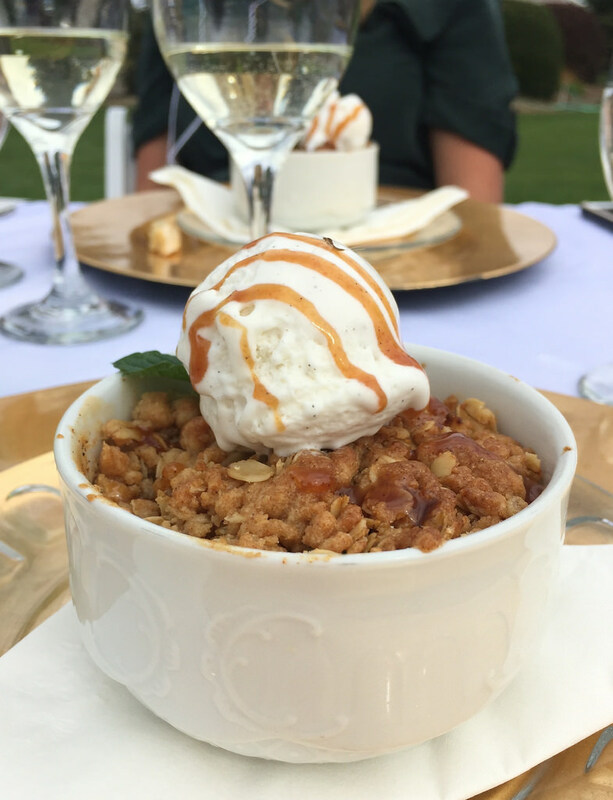 On my second night in the region, I stopped by Silvara Winery to mingle with wine makers and apple growers and to savor a meal catered (once again) by Ravenous Catering. 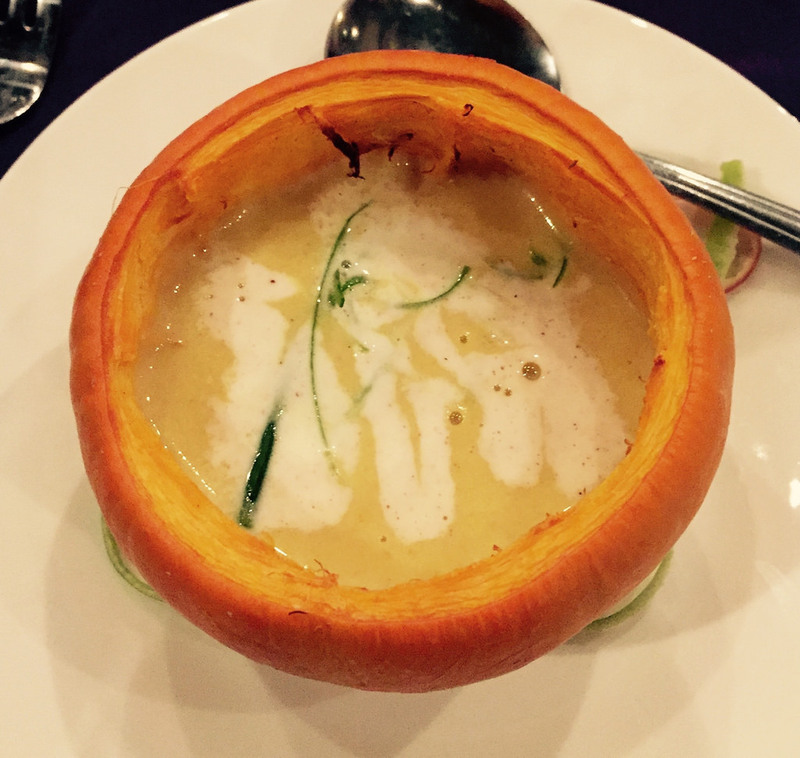 My favorite dish was this Warm Curried Ambrosia Apple Soup with Creme Fraiche. 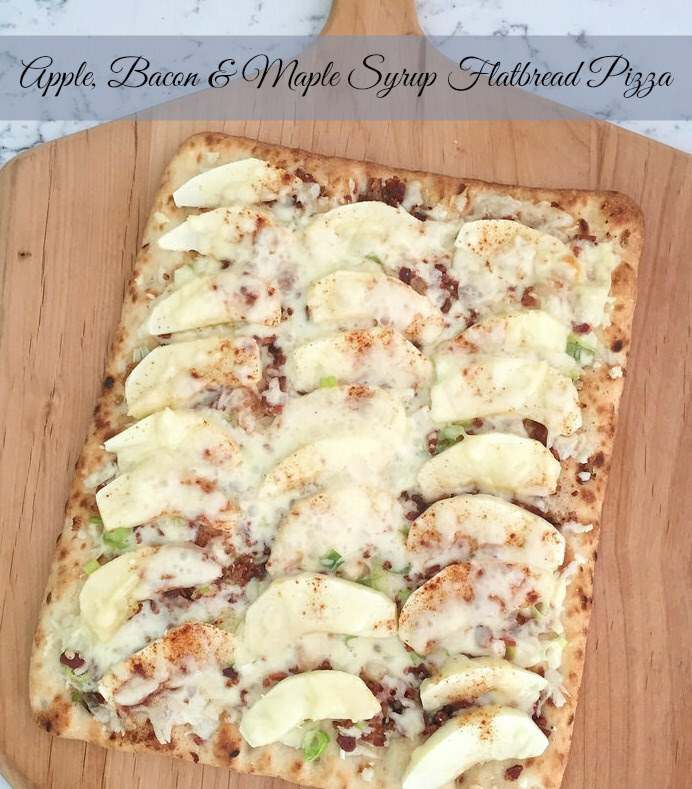 This Bacon, Gorgonzola,, and Ambrosia Apple Pizza inspired me to create a recipe of my own for Apple, Bacon, and Maple Syrup Flatbread Pizza. View of the Columbia River from our hike at Cave B Estate Winery where we stayed during our visit. Many thanks to CMI for hosting our visit and enlightening me to the birth of a new apple variety. I first tried your apples last year when I was buy fruit to be given away to family that had very little and well do not have a lot . What was I was in a store and old couple was in front of me dividing weather to buy the cat food or fruit buy the way they have no cat.so from that day forward i buy it and give it away. But they all love your apples. Thank you so much for great apples . That sounds like an excellent time spent exploring a bit of our region. 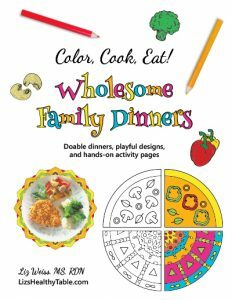 A nice mix of activities and information. 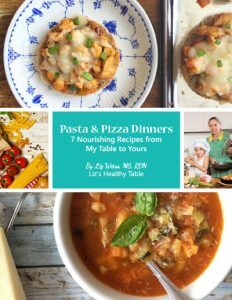 Some of those dishes look delicious. Nice photos too!